Do You Know Buddy Lee? 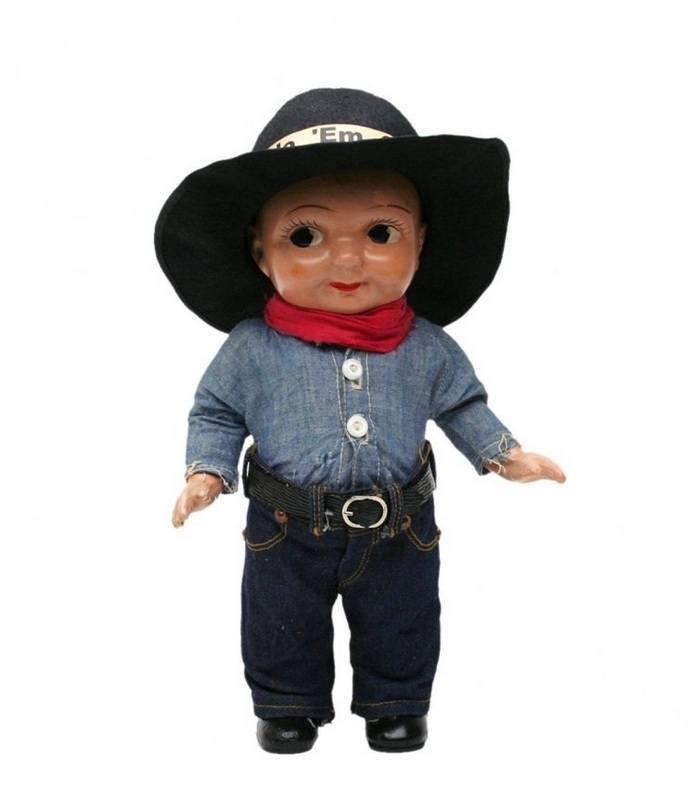 The Buddy Lee doll was the brain child of Lee Jeans sales manager, Chester Reynolds in 1920. 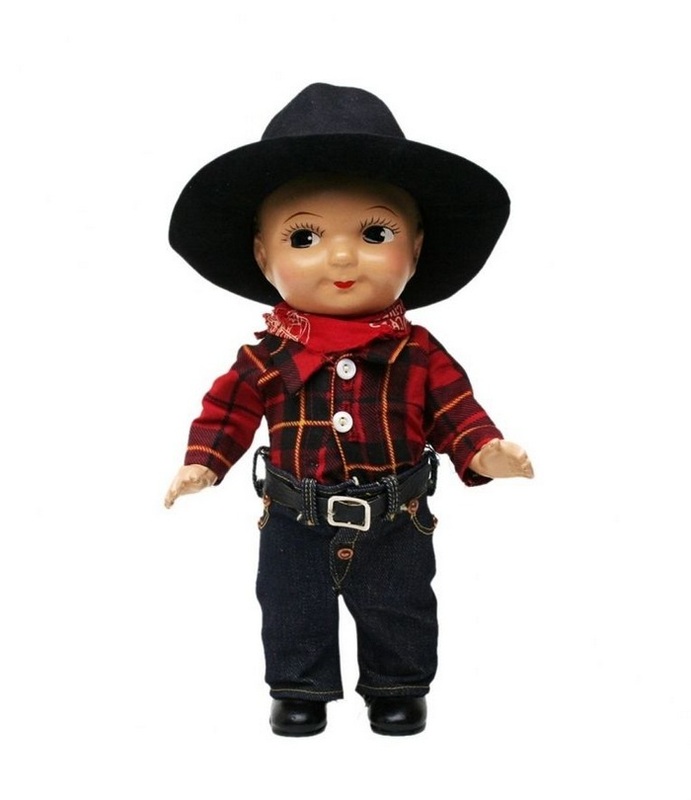 It was his idea to use the doll to display miniature versions of Lee clothes; dungarees, coveralls, western shirts and the like. The first dolls, just over 12″ tall, appeared in the Dayton’s flagship Minneapolis store, but quickly showed up across the country. 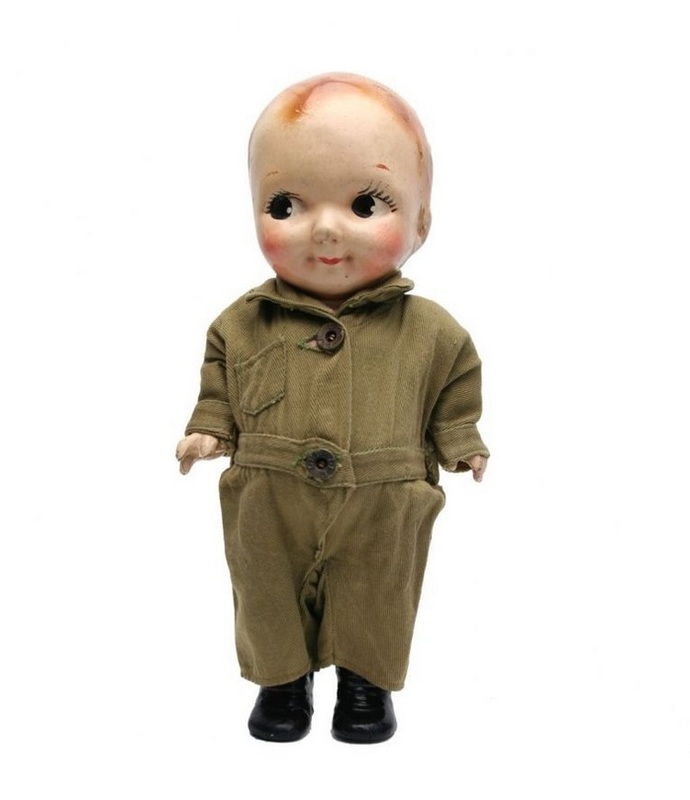 As styles of Lee clothes changed, the stores were encouraged to sell the old dolls. 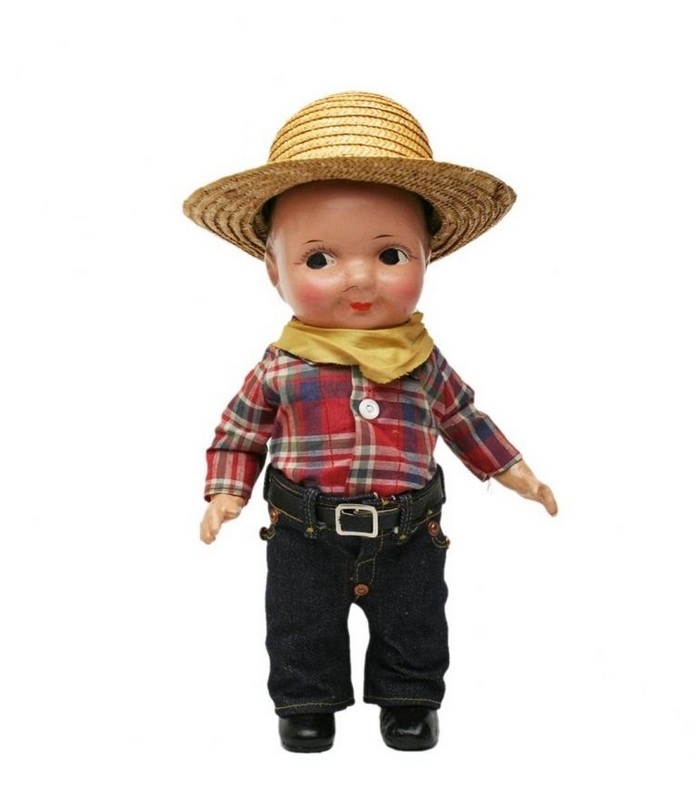 The Buddy Lee dolls became so popular that Lee started producing a 13″ tall version for sale in 1949. 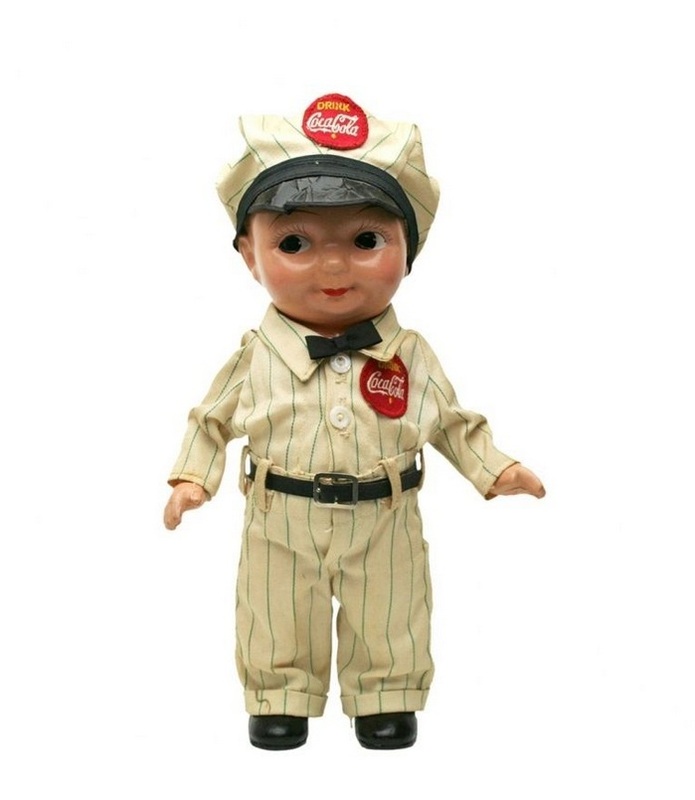 Some of the more popular dolls were dressed as a Coca-Cola deliverymen, a railroad workers, cowboys or gas station attendants. 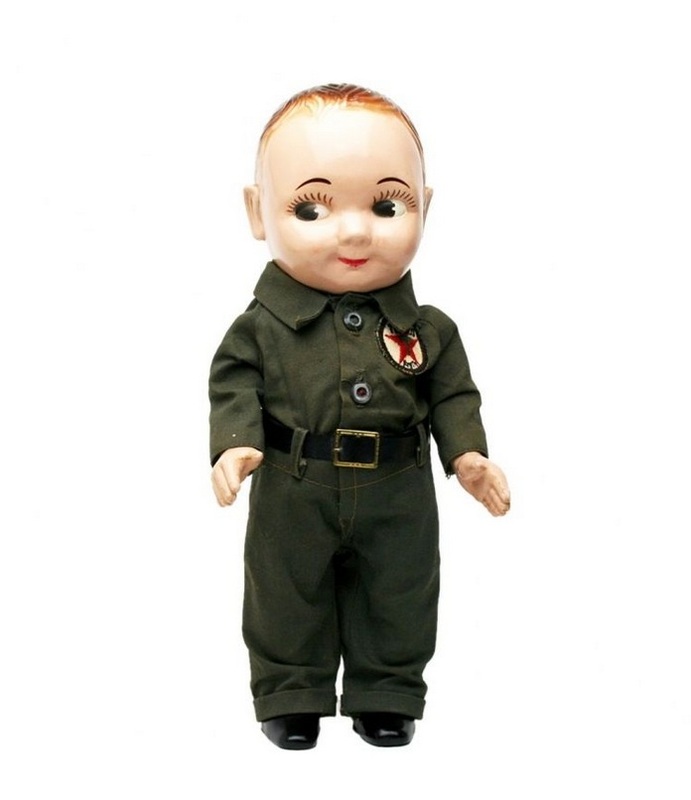 Contrary to popular belief, the Lee company never produced any female dolls. Any girls resembling Buddy Lee, often called “Betty Lee”, were just cheap knock-offs. 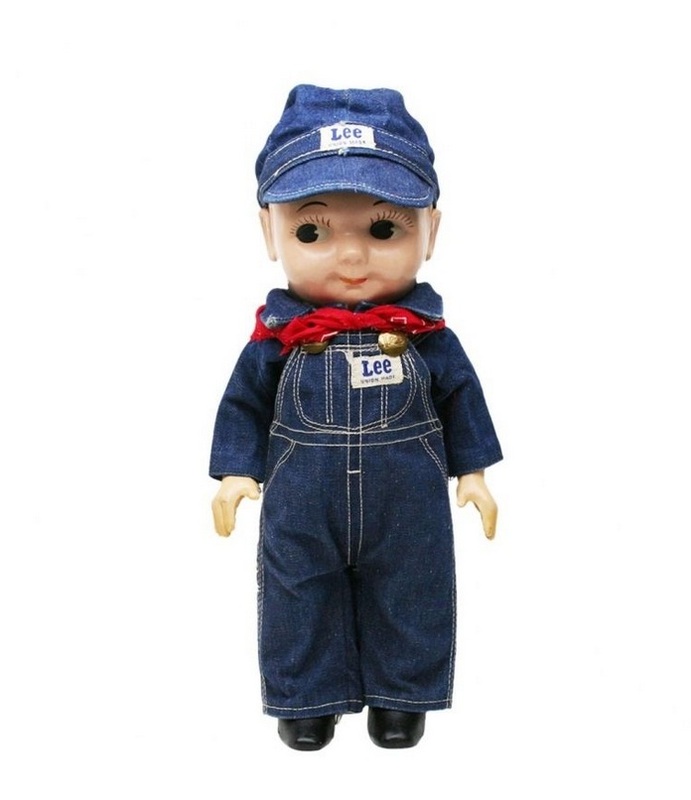 Sadly, like everything else……the Buddy Lee dolls were discontinued in 1962 because they no longer produced a profit for the Lee Jeans company. For the last 15 years, Buddy Lee has reappeared in Lee commercials maintaining his image as a tough guy/ladies-man. All pictures are courtesy of koto906 on eBay. In fact……koto906 has all these Buddy Lee dolls and more (like the impostor Betty Lee) for sale. ← Wasn’t There a Door to the Garage?